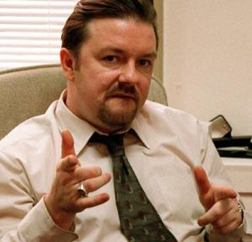 When David Brent repeatedly asked the Swindon lot, ‘do you trust me?’, we laugh because of course they didn’t! Brent is the last person in the world that you would find yourself trusting. The Swindon crew’s resounding silence tells the story: ‘No, we do not trust you” – even when Brent makes them say that they do. I love this verse for many reasons. One of them is the flowing exuberance of experience that Paul is writing with and another is the word AS. This tiny word points to such a crucial principle in our lives of faith – i.e. that actually in the process of trusting we experience the joy and peace and overflowing hope of the God of hope who pours into us to the point of filling up and the point of overflowing. As we trust we are filled by the power of the Holy Spirit with hope, joy and peace. Again, Isaiah 26:3 – “For You will keep in perfect peace him whose mind is steadfast because he trusts in You“. This steadfastness of mind is to do with the trusting of God’s reality in our lives, by the Holy Spirit, above all other things…all other temptations, trials and difficulties…the things of situations and contexts that press in and flex their muscles around us so that this word AS might be done away with, the very link with the hope we crave. If we don’t trust we become like the Swindon lot and our God is dishonoured. Even when we say we trust He sees if we truly do. When we choose to trust, despite it all, He is honoured and we know the link to limitless and supernatural joy, peace and hope. Our great Abba longs, longs, longs for us to experience this hope, joy and peace and to overflow into testimony of it, not just theoretically agree and nod our heads. When the Bible shows us Jesus praying, it’s a big deal. When the Bible gives us a whole chapter of Jesus praying, this is an even bigger deal. In September I wrote about The Furious Longing of God, by Brennan Manning, whose revelation expresses the mind-bending truth that Abba “loves us as we are not as we should be”. The full truth of course is that none of us are as we should be. “All Is Grace” is a moving autobiographical account of Manning’s life including his deep struggle with alcohol addiction. The account is so transparent that it served to kindle again the fire of grace in my life. Sometimes this fire might simmer down in all of us to something more resembling a glowing ember, and so it needs the stoking of testimony and of revelation. There are three absolute gems that I’d like to make a note of from the book and then let you hear/see a song I wrote and recorded earlier this year that gives a voice of worship to these glowing, but ignitable, embers of the fire of grace. In the foreward of the book, Philip Yancey refers to Manning’s ‘gulping of grace’ as his way of life. It caught my attention because all too often I know that my drinking (or receiving) of His grace is much more like a sipping. In Jesus, Abba has made provision for our constant gulping of these waters and we honour Him as we do so in every single minute of every hour of every day. We need to and He is glorified as we do. There is a tendency for all of us to default back to a surveying of our ‘track records’ or ‘current performances’ as the true indicator of our standing with God – there is something very strong within us that wants to be justifiable by ourselves not justified by a Saviour. We must resist this to grow in grace. Right at the end of the book, Manning highlights that this kind of grace will be like a ‘banana peel for the orthodox foot‘ and ‘a fairy tale for the grown up sensibility‘ – in other words, something that makes them fall on their butts or something that they reject as a made-up story. This makes me want to be neither orthodox or grown up! Why? Because I don’t want to waste my life sipping nervously or uncertainly from the infinite grace of Abba by labelling it as ‘cheap’ if I fall. Or wasting my life worrying about my weaknesses and all the while not experiencing the fulness of the Father’s love. It’s not cheap grace, says Manning, it’s free grace! Instead of a person who is gulping from grace being called a ‘cop out’ couldn’t we live increasingly with the understanding that when we do sin we have an Advocate in heaven interceding on our behalf and that, regardless, we have an Abba who loves us furiously? But God does mean that our gulping will result in our healing from sin (1 John 2:1). is a response from my life to the reality of being constantly touched and kept by grace every minute of every hour of every day that I’m alive. I’d like to think that if Brennan was to hear it that he’d worship Jesus along with me. I hope you will too. As a ‘creative type’ I normally love watching X-Factor – it’s often funny, entertaining and occasionally inspiring. But last week I was disgusted by it. I was disgusted by the lie of the devil to a generation of young people who are being treated like ‘talent meat’ while their hearts are puffed up or crushed. There seems to be this mass hysteria, growing each year, that “if I can just make it then everything will be alright – I’ll get the future that I dream about and that my family deserves “, etc. Sometimes there are contestants that are so deluded about their singing ability that it makes me laugh hard but then there are those who are so genuinely crushed by failure to progress that it breaks my heart. (See below, 2 mins 40 secs). This is the double-edged lie that is pandemic in our younger millennial and X generations: “If you have what it takes, if you have the xfactor and can win…you will have made it! But if you don’t have the xfactor you won’t have made it, you will have fallen short – it’s all or nothing!”. The reality is, it’s neither. The xfactor, (in this shallow, fickle sense), does not exist. My concern is that, as important as it is to go after dreams and all that’s in your heart, hundreds of thousands of young people around the world are chasing a mirage. And that’s exactly where the spiritual enemy of Millennials, and Gen Xers, and you and I, wants us….chasing pipe dreams and fantasies that will never, and can never, satisfy. I feel so sorry for the devastated ones from the week-end, as I do the others who can’t see the wood of reality for the trees of reason….but I feel equally sorry for the eventual ‘winners’ who take the bait that they really have won. Even Leona Lewis (the most successful Xfactor winner?) really hasn’t won, has she? Has she really got what she wanted? And needed? Once as kids, my brother and I were in deep trouble with Dad for throwing apples from the garden and breaking some panes of glass in a neighbour’s conservatory. We were naughty boys and Dad was furious. And there are probably occasions you can think of when someone has been furious with you too, maybe when you were naughty. Because of memories like this, I have always thought of ‘furious’ as a negative word or a ‘fury’ as a negative event or emotion. But this book has taught me otherwise. 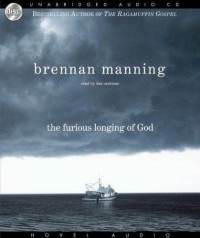 ‘The Furious Longing of God’ by Brennan Manning is one of those books that got my attention because of its title front-cover picture. It’s always good to pay notice to things like that as they kind of choose you. ‘Furious’ and ‘love’ barely seem to be words that go together at all, but this is what Manning has done in this book. He has shown how the thing we call ‘the love of God’ fits like a glove with the storm-like, tumultuous, irresistible, incomparable force that is the heart of Abba Father for each one of His children. Tozer is famous for saying that ‘the first thing that comes into your head when you think about God is the most important thing about you”. So, what is that ‘first thing’ for you? Is it a disappointed and slightly irritated God, limited by your weaknesses and short-comings? Is it a distant, aloof God bordering on complacency about your role in life? Is it a sort of sloppy sentimentality relating to an ethereal being that has no real bearing on the choices you make in life? Is it a God who is able but just not likely to come through for you? Or is it a dancing Father? Is it a picture of a Father who is so indescribably passionate about you that He would do anything, anything, to be with you? Not ‘us’ as a race of human beings. You. Yourself. What if we lived life knowing by experience that our God was first and foremost a dancing Father and that His emotions towards us (Ps.139:17) were like (and only like) the force of the sea as it rages or the heat from the sun as it blazes? The truth is, God is first and foremost a Daddy, to each one of us, whether we want an ‘Abba experience’ or not. But we’re invited to know Him so we can say, “Abba, I belong to You”. This amazing book that I strongly commend reminded me that, in all of my desire to be bigger and better and ‘maturer’ and more spiritually fruitful, God wants me to know Him as Abba, as Daddy, and for me to be found as His little boy. This is is the apex of all true spirituality. They were totally knackered and hungry, heart-broken and angry, confused and missing Jesus: The disciples had returned to their grass roots at sea to find the encouragement of a good night’s work…but they caught nothing. Not even one fish. Like all groups of blokes, there would have been a range of emotions (or at least a range of emotions expressed) as the boat gradually entered the shallows again, but the over-riding feeling would have been tiredness. This was a boat of tired men…tired fishermen, to be exact. It was dawn when another man, a stranger, called from shore – “didn’t you catch anything?”. Within a few moments John has seen that it was Jesus – a glorified, resurrected Jesus – and within a few more moments still, Peter had put his jacket on and jumped into the sea, striding towards the shore, shells between his toes. This is the first time Peter would have seen Jesus since he betrayed his best Friend, unto death, so he would have been aware of his weakness. The last time Peter jumped out of a boat to meet Jesus he didn’t get wet – he had jumped onto the sea not into it. Before long there is a fire, a miraculous catch of fish (at least 153 large ones) and a bunch of men strengthening each other just by doing life. There would have been questions galore…there would have been different levels of faith…there would have been shock and awe. But there would have been worship. What strikes me about this most is that Peter’s reinstatement came after breakfast. Maybe Peter had tried to start the conversation with Jesus immediately (hence jumping into the sea to get ahead of the boat to meet Him) but Jesus clearly wanted the men to sit, eat, rest and enjoy brotherhood. The sense in this is that this aspect of doing life together as men (chilling, eating, sharing, helping, PRAYING) was just as important as raising the dead, preaching the gospel and healing the sick. Jesus wanted it this way and had planned to be there that morning to refresh and strengthen His company of men.